A population, health, and environment policy advocate, Ramon brings with him years of experience working in civil society organizations (CSO) engaged in social development work, and has dedicated many years on policy development, advocacy and working with policy-makers and stakeholders on population, health, environment and sustainable development issues. 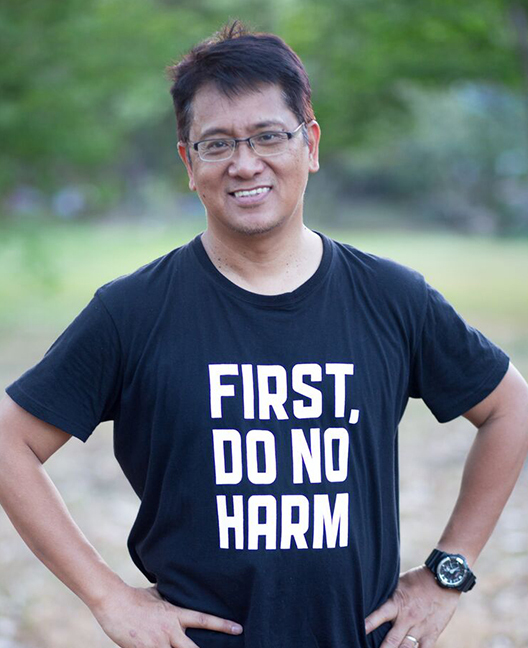 Having worked with an extensive network of parliamentarians, health professionals, community and civil society leaders, he has helped form and strengthen coalitions of advocates upholding health and social justice in the Philippines and across the Asia Pacific region. He served as Executive Director of the Asian Forum of Parliamentarians on Population and Development (2012-2015), Executive Director of the Philippine Legislators’ Committee on Population and Development (2005-2012), and until recently, as Head Executive Assistant and Division Head of the Legislative Liaison Division of the Philippine Department of Health (DOH). A Bachelor of Political Economics graduate from the Polytechnic University of the Philippines, Ramon obtained his Masters in Public Health in 2007 from the University of Washington in Seattle, WA. USA. Alongside MPH, he also completed Certificate Program on International Health. Earlier in 2003-2004, He also finished Population Leadership Program as a Gates-Packard International Fellow also at the University of Washington. 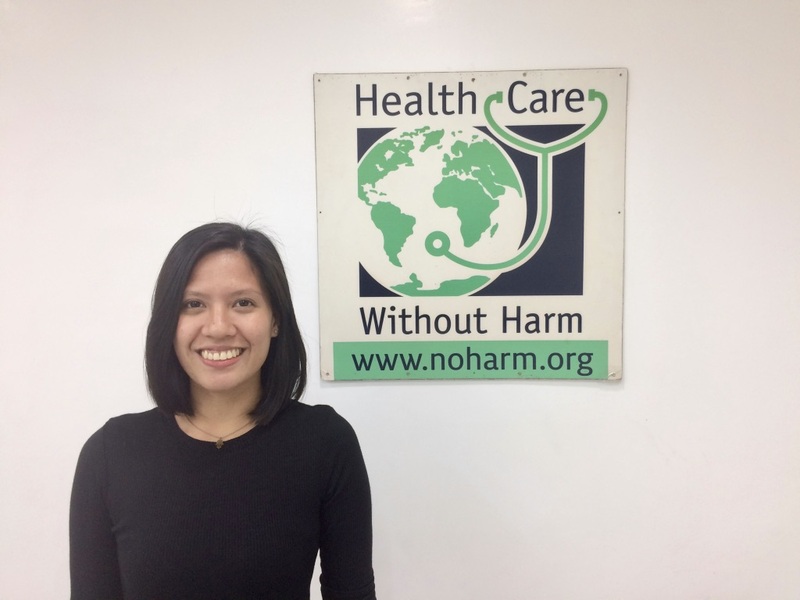 Joyce joined Health Care Without Harm Asia team in early 2011. She is in charge of the organizational, human resources, administrative and financial management. 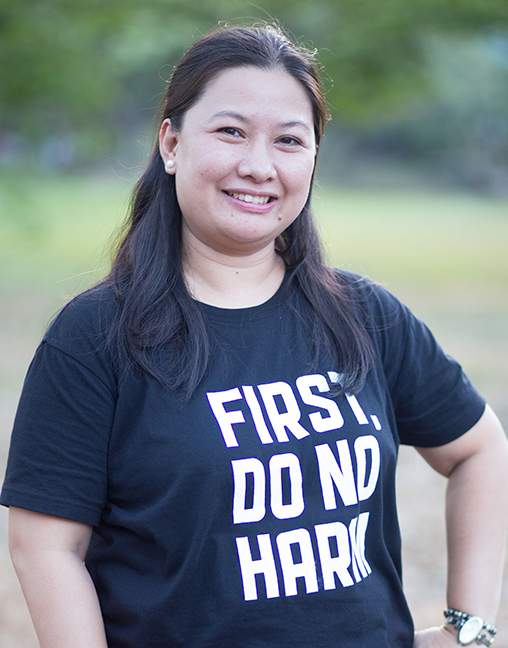 She brings with her over 12 years of experience in human resources, financial and administrative management from her previous work at ACF International - Philippine Mission and the United States Peace Corps in the Philippines. Her extensive experience with various donors such as Generalitat Valenciana, Philippine-Australia Community Assistance Program (PACAP), European Commission (EC), the Spanish Agency for International Development Cooperation (AECID) and Strategic Approach to International Chemicals Management (SAICM) make a real contribution to the organization. She earned her Bachelor of Science in Accountancy from the National College of Business and Arts. Moresa is the Sustainability Coordinator for the Global Green and Healthy Hospitals (GGHH) Asia Network. She builds and maintains relationship with members and encourages the documentation of hospital initiatives through collectively written case studies for GGHH. 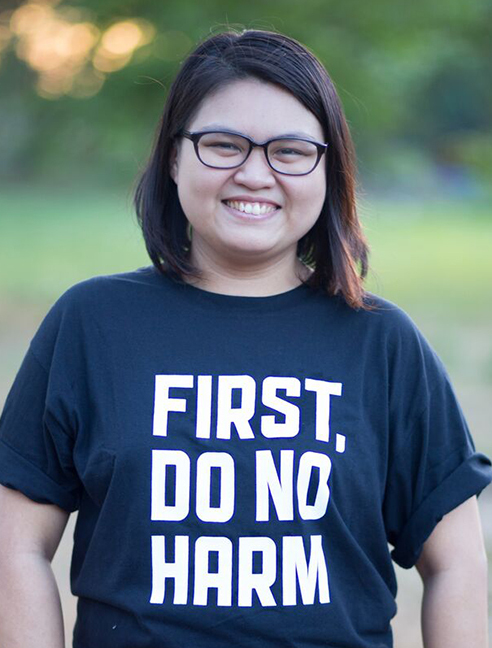 Before joining HCWH-Asia, she was involved in projects concerning children, disaster management and environment. In her previous work, she was part of a team that advocated the elimination of lead in paint for healthier children and safer environment. She loves interacting with different people, especially children. She earned her BS in Environmental Planning and Management in Miriam College and is currently taking an MA in Education Major in Special Education in St. Joseph College. Raphael Lopez is widely known as Paeng in the local environmental justice movement. 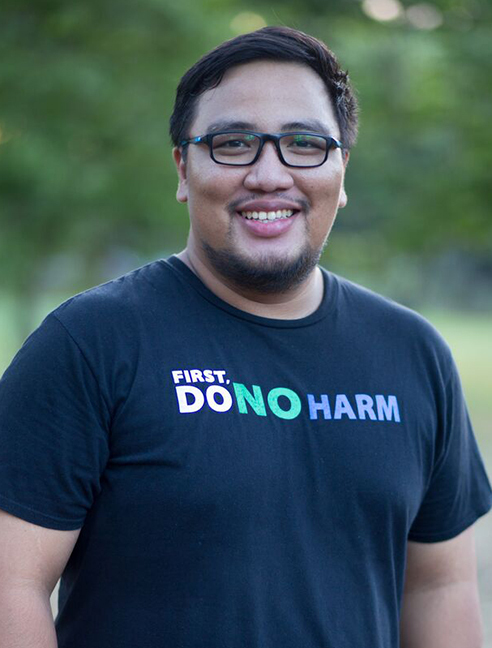 An environmental advocate since his youth, Paeng has been in the environmental movement since his college days, and had worked as youth convenor, community organizer, project coordinator, and researcher for various conservation organizations. 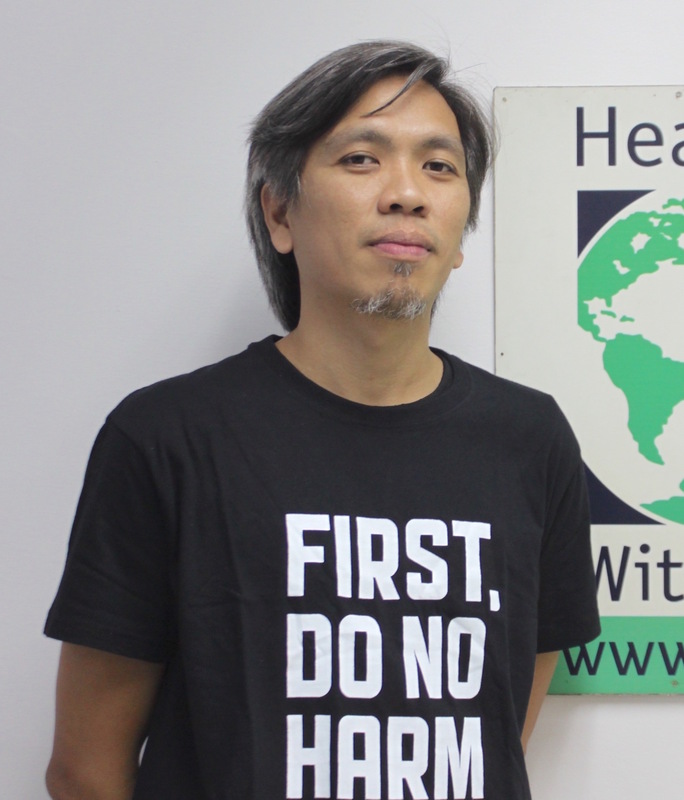 He has built a career centered on forging alliances and coordinating networks in the Philippine environment and social justice circles as well.Even before joining the team, Paeng had already been collaborating with HCWH-Asia on various campaigns promoting clean air and healthy environments, first with EcoWaste Coalition and, later, with Global Alliance for Incinerator Alternatives (GAIA). As Program Officer of GAIA, Paeng led its policy work on banning plastic bags as well as defending and enforcing the Ecological Solid Waste Management Act and the Clean Air Act. He also helped lobby for the inclusion of ecological solid waste management as mitigation and adaptation initiative in the National Climate Change Action Plan of the Climate Change Commission.Paeng obtained his Bachelor of Laws from the Far Eastern University and his Bachelor of Arts in Philosophy from the University of Sto. Tomas. Ma. Paz is widely known as Pats to her colleagues in both the private and development sectors. She is an accomplished Media Campaigner and Communications Manager offering more than 5 years of experience in developing, managing and implementing organizational and community projects in various fields. She grew up in a household that advocates for basic human rights like access to education, fair employment, preservation of culture and environmental justice. Pats has conceptualized and led communication campaigns for various peoples organizations like Center for Environmental Concerns, Sining Katutubo and Institute for Nationalist Studies as well as brand marketing for commercial companies under the flagship of McCann World Group before joining Health Care Without Harm - Asia. She believes that an effective communications campaign involves extraordinary visuals and narrative. Richard is the current Senior Program Manager in charge with the coordination and implementation of two multi-year and multi-stakeholder projects of HCWH Asia: 1) Sustainable Health in Procurement and 2) Climate-smart Health Care Cooling Energy Monitoring, Audit and Demonstration. Richard was formerly the Market Access Strategy Manager for Roche Philippines and occupied various public health-themed technical and project management roles with Nobel Peace Prize laureate international NGO, Humanity and Inclusion - Handicap International (HI) where he managed projects funded by the European Union as well as the Increasing Access to Multidisciplinary Diabetes Care project funded by the World Diabetes Foundation, Ministry of Foreign Affairs of Luxembourg and Sanofi Espoire Foundation. Richard is a registered nurse by training and education with graduate units earned in nursing and public health. 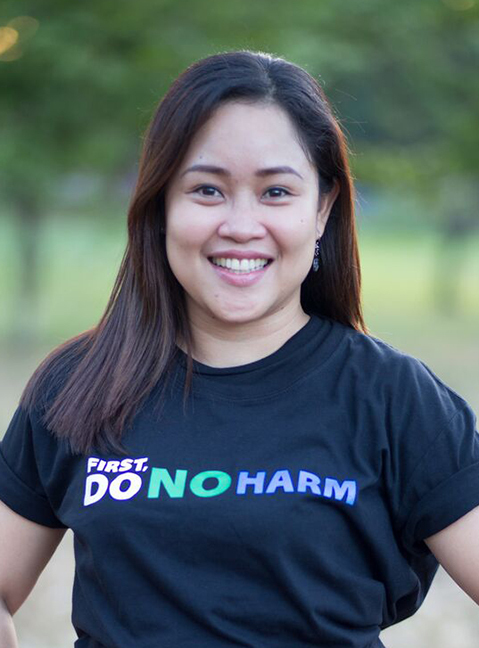 Nef (as her colleagues fondly call her) has over 6 years of experience as a private accounting staff then went on to work in various nonprofit organizations like Foundation for a Sustainable Society Inc. (FSSI) before joining Health Care Without Harm Asia. She is presently tasked as the Finance and Administrative Associate and assists the Deputy Director and the entire administrative team to ensure the smooth implementation of financial accounting policies and procedures. Both a Registered Nurse and an Accountancy major, Nef also undertook training on the new taxation law in the Philippines called TRAIN Law and Accounting for NGOs. Kris grew up in a socially-aware family and has a culinary background. 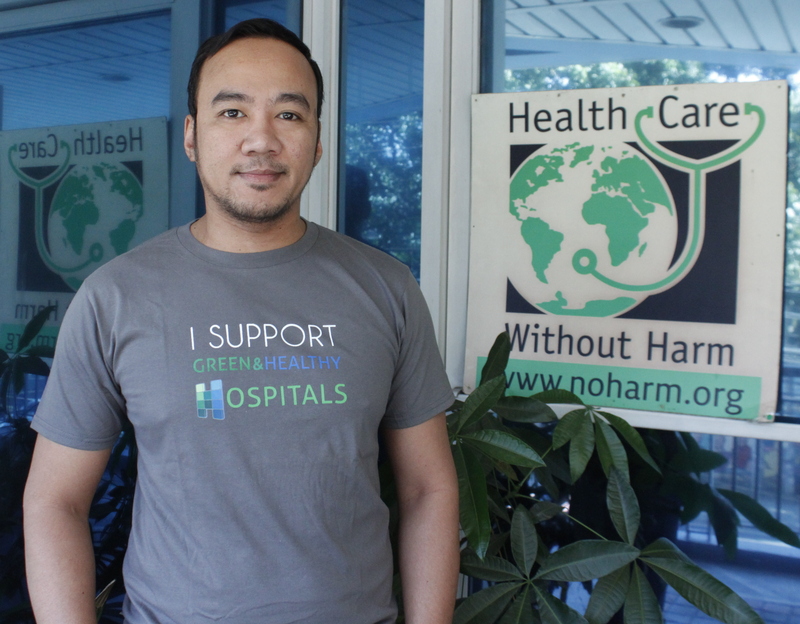 He is one of the senior members of Health Care Without Harm Asia team, being on-board since 2012. Kris is in charge of assisting in the implementation of administrative policies and procedures of the organization. He is also supporting the staff with logistics and various admin requirements like maintaining the office inventory system and preparing the mandatory benefits of the staff.